I'm a little behind, I had hoped to have this post up a while ago but unfortunately ran into delays. I suspect you will have seen this collection by now already... but a few more pictures can't hurt! 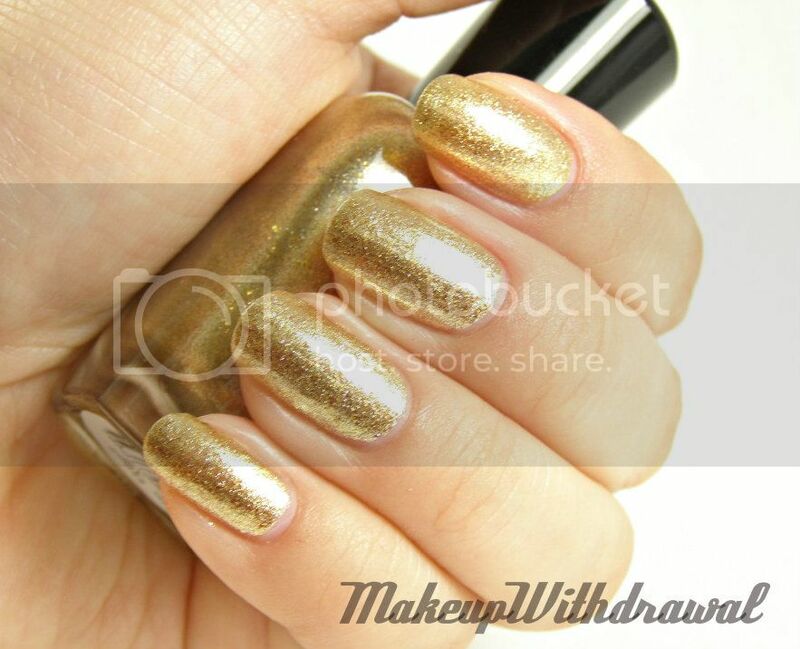 There's holo, glitter, gorgeous golden flecks. What more could you want? Blaze. One of my favorites from this collection. 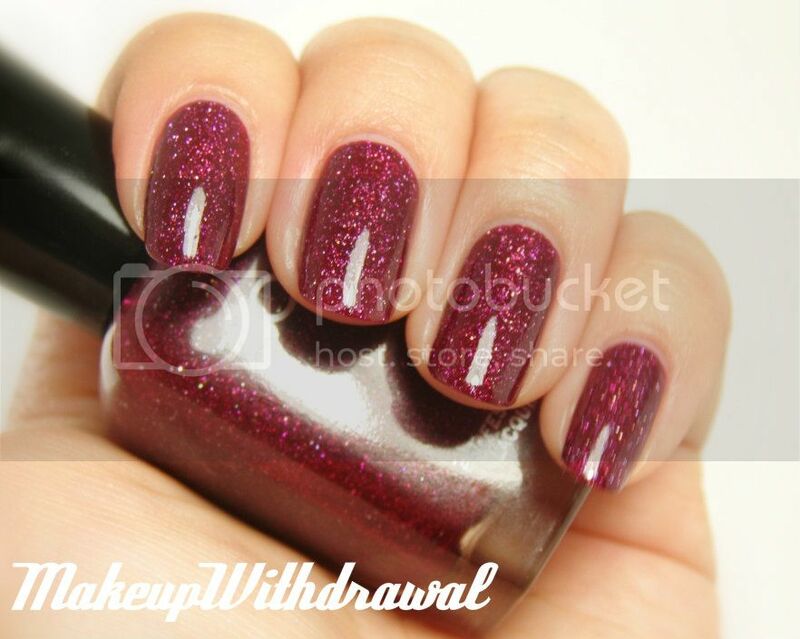 A deep cranberry jelly with holographic particles, making for a scattered holographic polish. Two coats. Ziv. 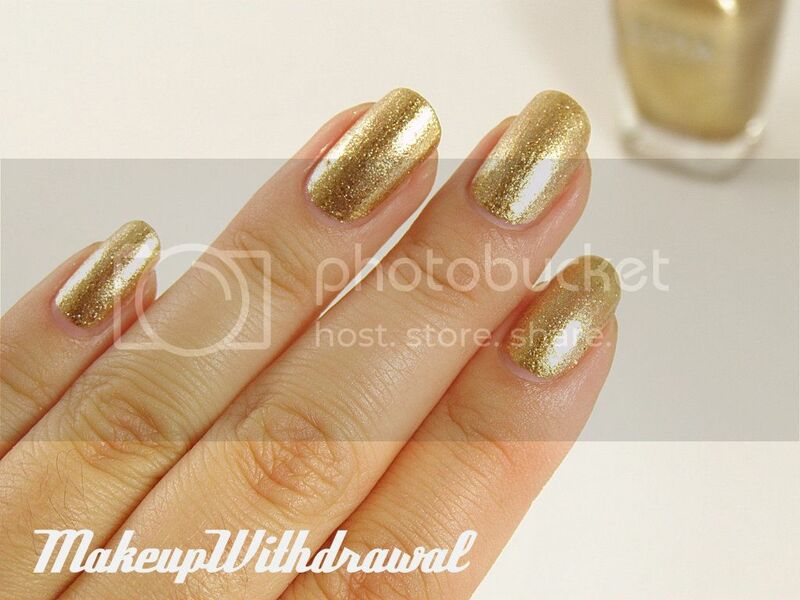 A champagne gold foil- not too yellow-gold with large bronze flakes. 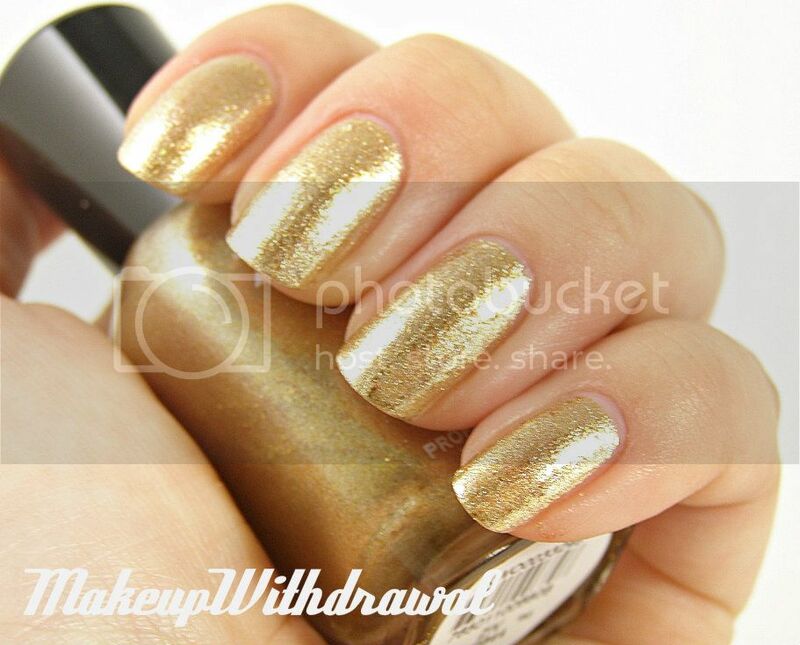 It reminds me of specks of nutmeg floating on eggnog. Super reflective. Two coats. Storm. 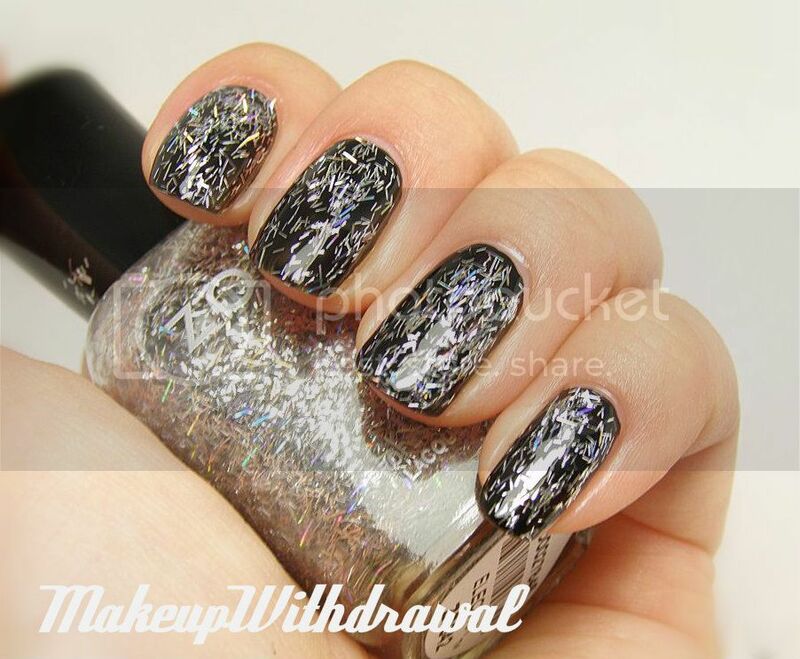 A black base with chunky silver holo bits. I have quite a few black with holo polishes but this one is just so nice! 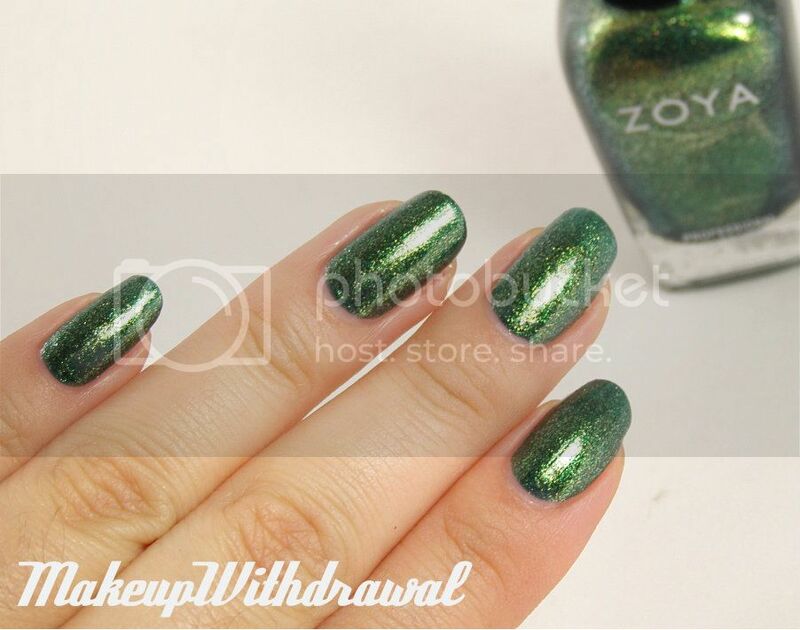 The holo doesn't drown nor does it cause the polish to dry bumpy. Holo is more prominent than my pictures would suggest. 3 coats. Logan. A blue-green jelly base packed full of golden flecks so that it appears green. Absolutely stunning, it screams "holiday!" to me. 3 coats. Aurora. 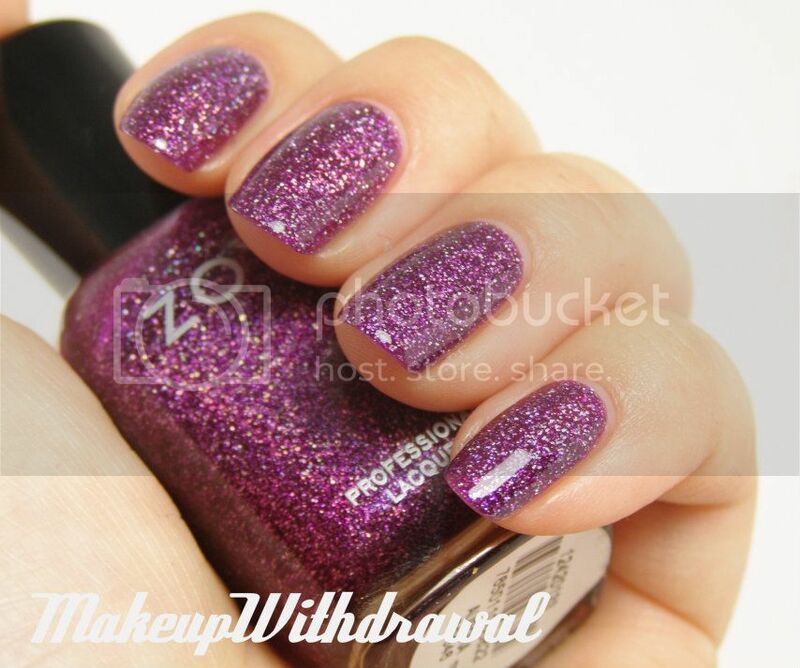 A purple large particle, chunky holo. More holo sparkle than Blaze. 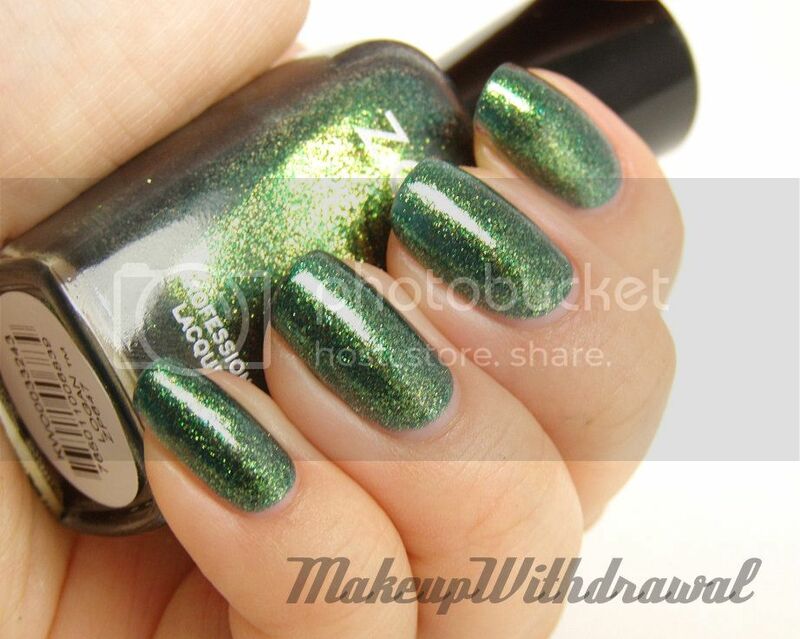 Reminds me of Glitter Gal High Voltage. 3 coats. Electra. Ooh! 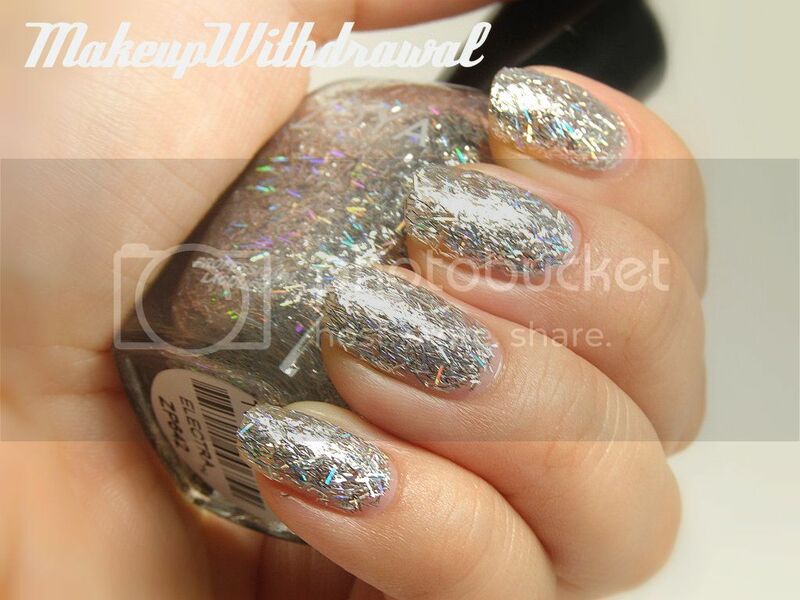 Silver holographic bar glitter, very fine. I tried wearing it by itself and there were still bald spots after four coats, so I suggest layering it instead. 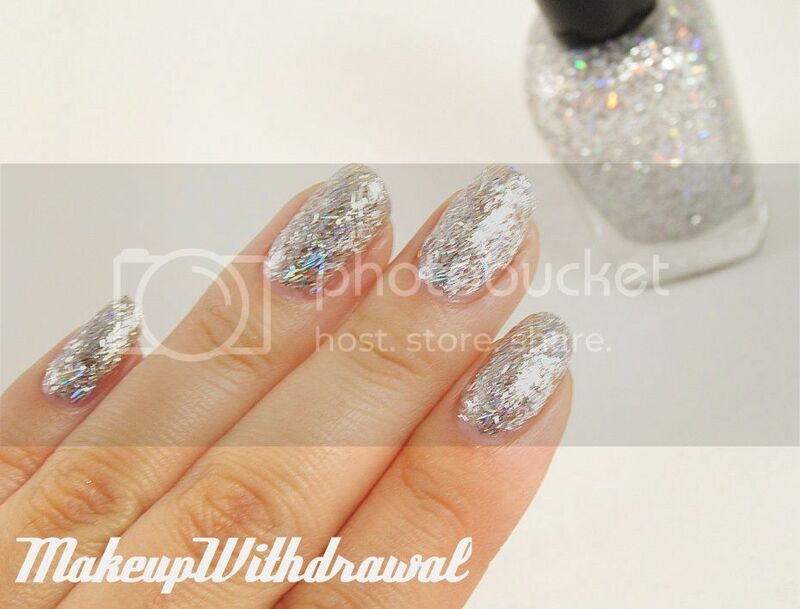 It's so beautiful, perfect for a New Year's Eve manicure. I really like this collection a lot. 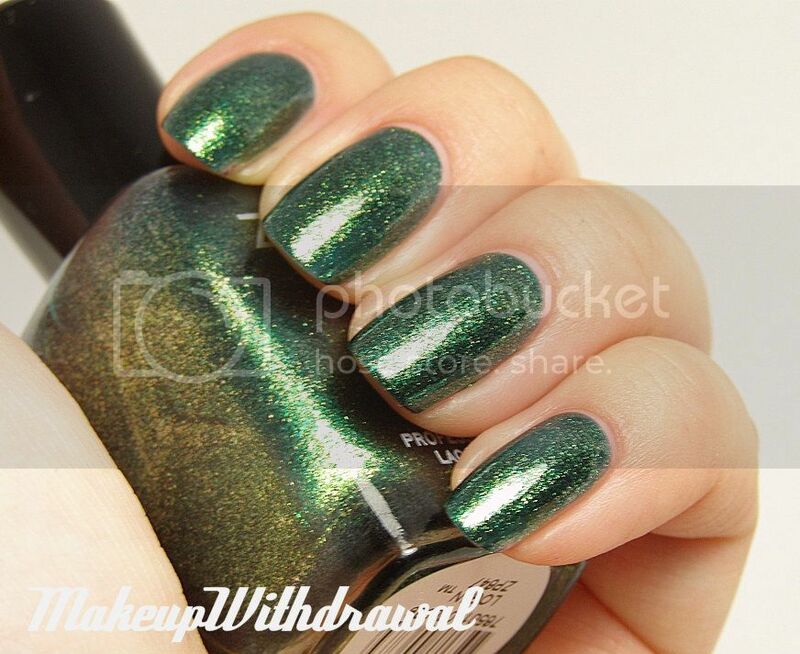 Though many of the polishes may not be completely unique, they are still really well done. 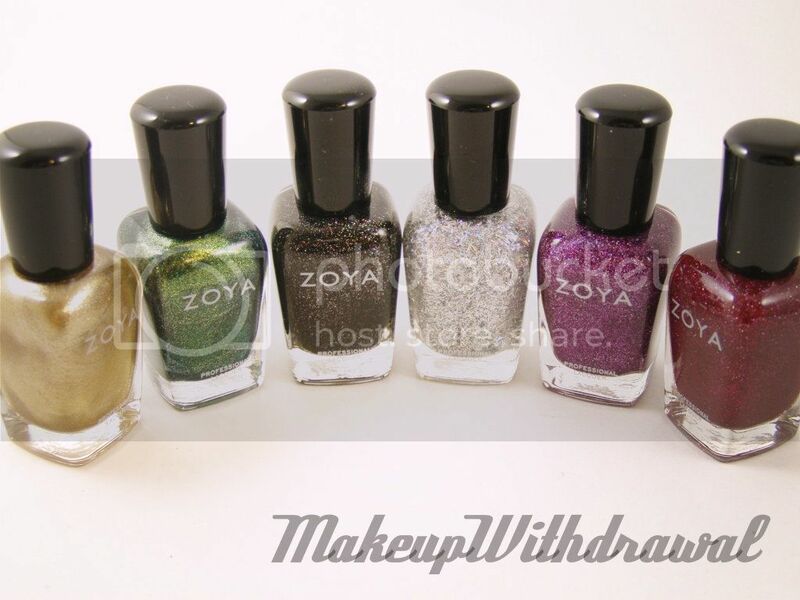 There's something for everyone- you have light catching glitter and rich jewel toned holos (though scattered), this set is a real crowd pleaser. I definitely will be sporting these shades in the weeks to come! 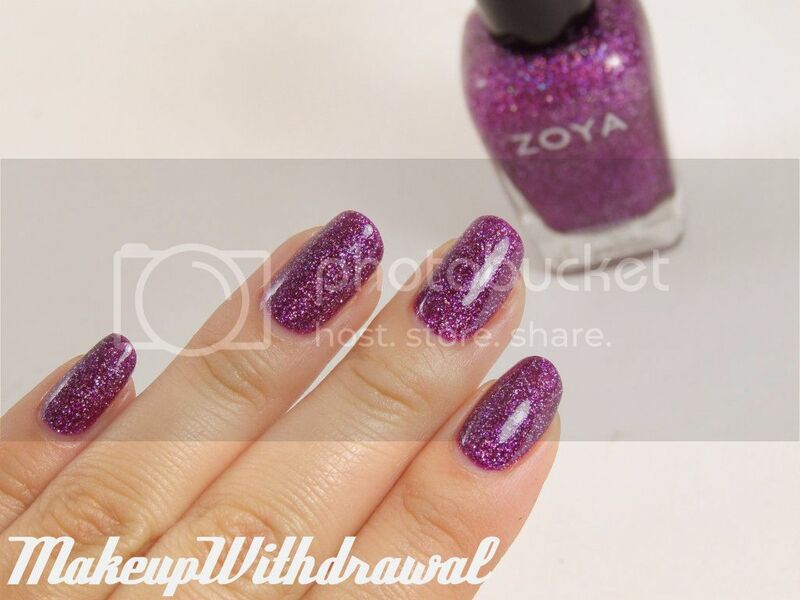 Zoya nail polish is $8 each, 4 free and can be found on the Zoya website. 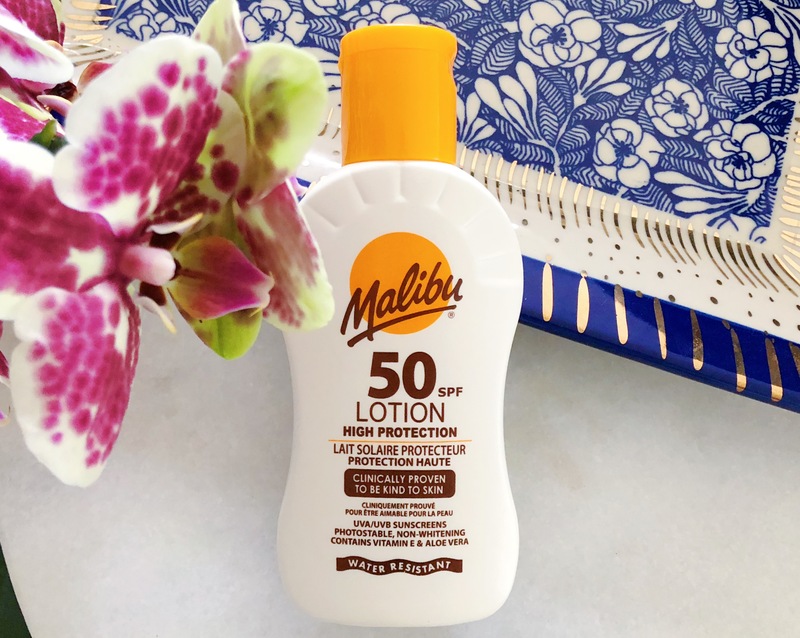 Products were sent to me for review. For additional information, please refer to my Disclosure Policy.